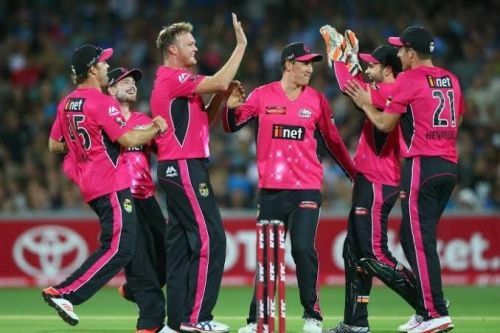 After ending on the losing side in their previous fixtures, both Sydney Sixers and Melbourne Renegades will be aiming to get their momentum back on track when they clash in the 32nd fixture of the 2018/19 Big Bash League at the Sydney Cricket Ground on Wednesday. In their previous encounter on December 29 this season, Sixers secured a 33-run win over the Renegades. Batting first, the Renegades posted 132/7 in their quota of twenty overs and then restricted the Renegades at 99/9 to seal the match. Sixers currently occupy the third spot in the BBL 2018-19 standings with four wins and four losses from eight league matches. They will bank on their previous record against Renegades to get their track back on winning ways. Daniel Hughes is now the Sixers’ top run scorer with 224 runs in eight innings, which includes two half-centuries. He seems to be in good touch with scores of 61, 24 and 36 in his last three innings and will once again be a major threat for Renegades. Meanwhile, he has been well supported by Jordan Silk and Moises Henriques, Silk has 207 runs to his name, while Moises Henriques is just behind him on 188. These three have been core of their batting order and will be expected to get team through against Renegades. Steve O’Keefe with 13 wickets in eight outings is at the top of this season’s Big Bash bowling charts. Sean Abbott and Tom Curran follows him with 11 wickets each and these three will be expected to rattle the opponents early on. Moises Henriques (C), Daniel Hughes, Jack Edwards, James Vince, Jordan Silk, Josh Philippe (W), Tom Curran, Sean Abbott, Steve O’Keefe, Ben Dwarshuis and Ben Manenti. The Renegades are currently fifth in the BBL 2018-19 standings with four wins and as many defeats from eight league matches. Sam Harper has been their best batsman of BBL 08 with 189 runs and it will mostly depend on him to get them to a decent total. Daniel Christian and Mohammad Nabi has scored some valuable runs for them in the middle order and the Sixers will depend on the trio to score big against the Sixers. In the absence of Kane Richardson, Usman Shinwari will be expected to lead their bowling attack. Meanwhile, Dan Christian (6), Jack Wildermuth (6), and Cameron Boyce (7) have shared 19 wickets between them and these three could build pressure on the opposition by slipping in a few tight overs. Tom Cooper (C), Marcus Harris, Matthew Harvey, Sam Harper, Mohammad Nabi, Dan Christian, Beau Webster, Jack Wildermuth, Cameron Boyce, Joe Mennie and Harry Gurney.